Where is Tea Grown and Produced? Tea has been a revered beverage for over 2,000 years. Today, it enjoys popularity as the second most widely consumed beverage in the world – second only to water. It even outranks coffee! What was originally discovered as a bush in China has now become the much heralded beverage of drinkers everywhere. Chinese people have long known the healthy effects of drinking tea. They started to produce it as green tea, a non-oxidized version, and still continue to drink that version to this day. They grow it in the southern part of their country. They keep green tea mostly to themselves and produce some of the most expensive types. And they export oxidized black tea to the world over. Tea has become a very dear commodity. It is still picked by hand and many varieties can only be picked a few days out of the year. The oldest tea tree is still living in China and is reported to be from the years in the early 500s. Japan also produces a crop of green tea. They are true artisans in their production. They grow it in their tea growing areas along the Pacific Ocean. They produce green teas in some of its most costly forms. Japan’s powdered green teas, matcha, are among the rarest and are used in Japanese ceremonies. India also has its hand in growing tea. In fact, it grows and exports more tea than any other country in the world. They are known for three of their teas especially. Darjeeling, Assam and Nilgiri have become names even infrequent tea drinkers recognize. The Indians pride themselves on growing the best teas and their communities often center around the tea growing trade. 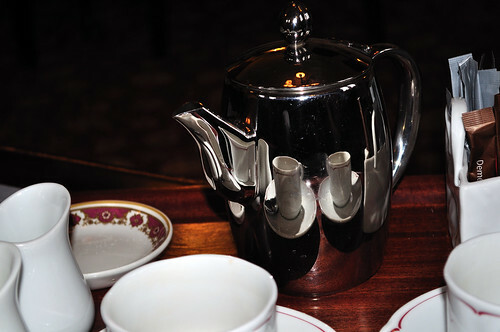 Kenya is known throughout Africa as the supplier of most of England’s tea. Their tea is strong and often red. It is exported to the delight of many other countries. For Ceylon teas, the source is Sri Lanka. This heady and aromatic tea is one of the world’s most distinct. Tea is grown in bush form. In fact, all teas come from a similar type of bush. The drying, oxidization or handling of a tea is what makes one category distinct from another. Green teas are left in their picked state. The leaves are de-enzymed with heat to halt oxidation and are packaged before they can oxidize, so they retain the most health benefits. White tea is picked in the bud state, so it is sometimes considered the purest. It’s usually the more highly prized and costly of the teas. It reputedly has the most powerful antioxidants. Black tea is created when the tea leaves are picked, processed and fully oxidized. Oolong is the category of de-oxidizing between green and black. The fifth category of tea is called “dark tea” and includes pu-erh. Various methods are used to package and ship teas. They can be shipped in leaf form or as blocks or even as tea blossoms that unfold when submerged in hot water. Teas are also ground and put into tea bags, although purists will tell you to stay away from the tea bag as you lose a lot of the taste in the processing. Why not invest in a good tea, a tea ball, or a nice tea gift basket and start enjoying the pleasures of tea today? Who knows, it just may win out over coffee in your heart, too, as it has for so many in the world at large. Pinkchic18 enjoys a nice cup of tea after a long day. You can find more of her work at the All About Gifts & Baskets Ideas Blog, where you can also find great tea gift baskets for any occasion. Learn more about Pinkchic18 on Twitter. What’s your favorite cup of tea today?